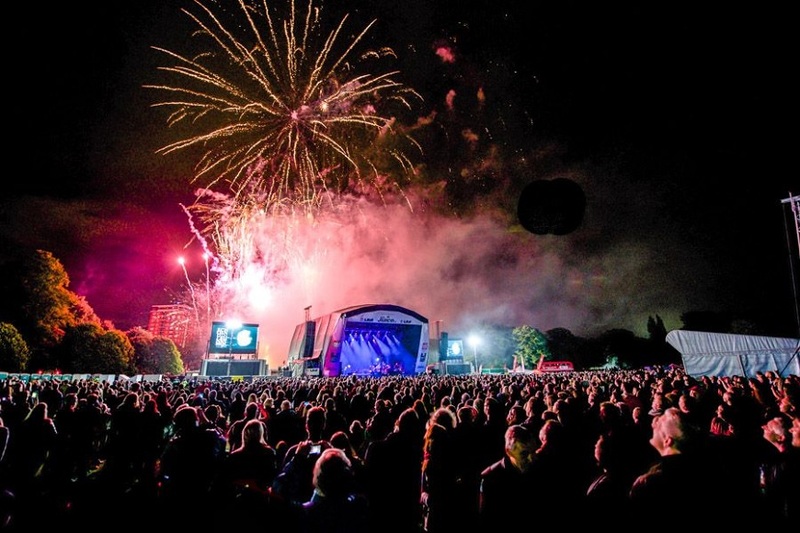 Beat those New Year blues by checking out some of the best events taking place in Liverpool in January 2018. 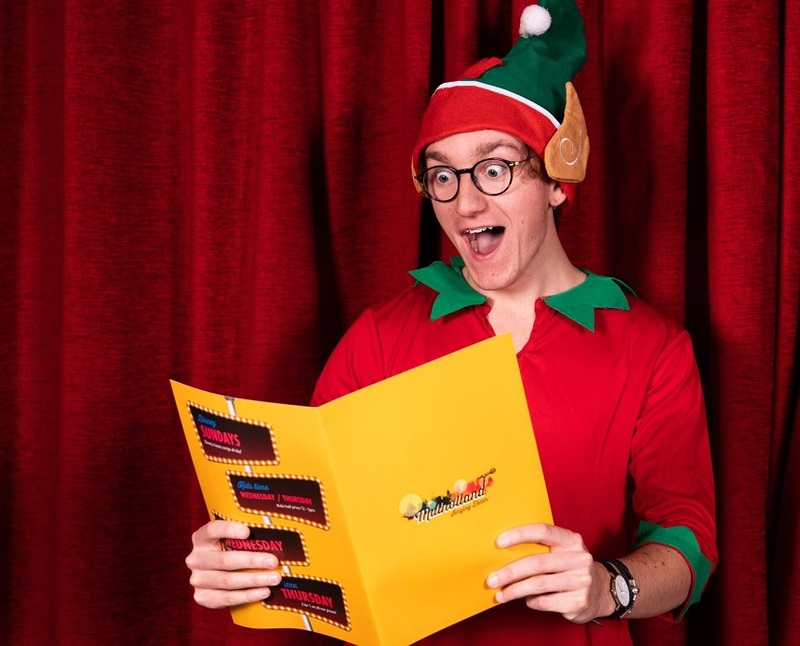 From live stadium shows to one of the most epic games of bingo, this month is packed full of fun things to do. It’s time to start planning for the New Year! 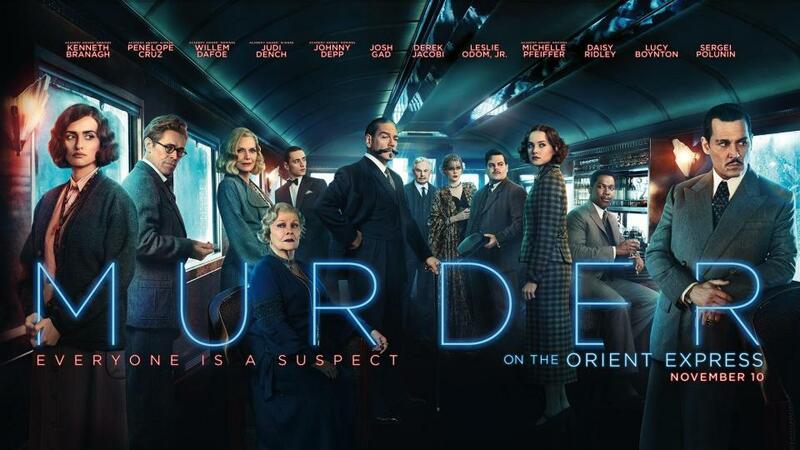 The Philharmonic Hall are showing the brilliant new film, Murder on the Orient Express, to celebrate the adaptation of one of Agatha Christie’s classics. The iconic 1934 detective mystery has rocketed to the top of the film charts, receiving rave reviews and praise for the all-star cast. Join Judi Dench, Kenneth Branagh and Johnny Depp as Poirot tries to figure out who killed a passenger on a train stranded by the snow. 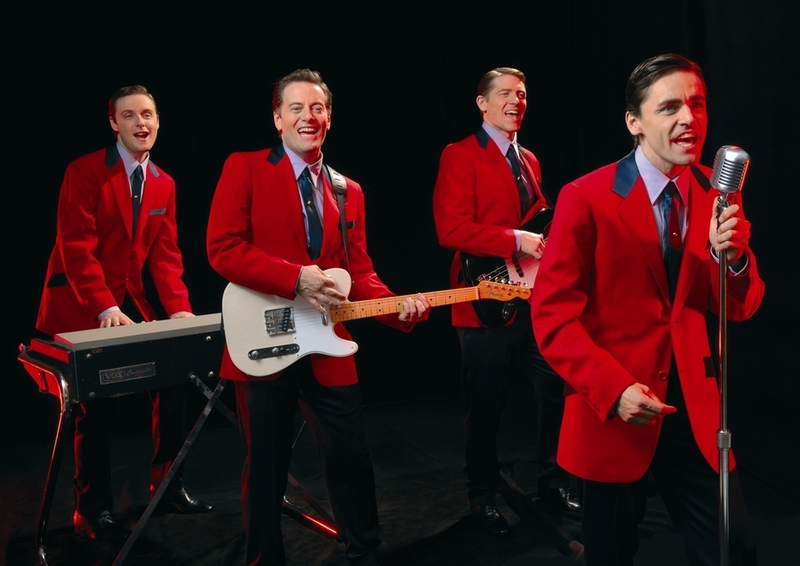 The internationally acclaimed stage sensation, the Jersey Boys, is officially touring the UK and they’re coming to Liverpool’s Empire Theatre this January. 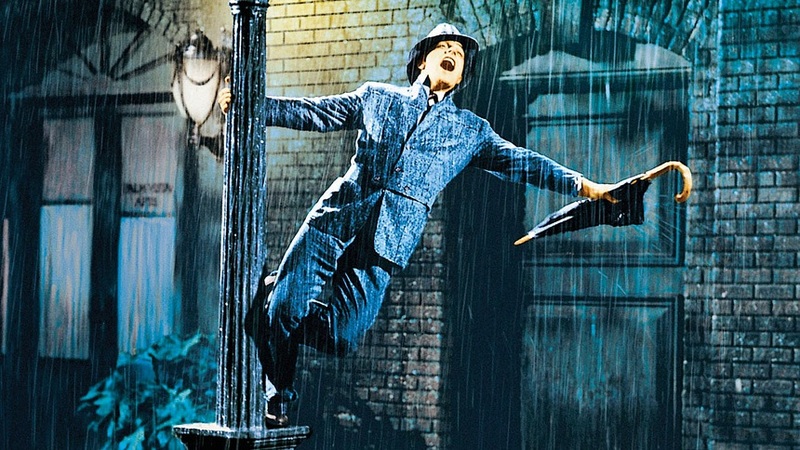 This hugely popular play has won 57 major awards worldwide, including the Olivier Award for Best New Musical. A true life story of four boys from the wrong side of the tracks, the Jersey Boys follows their journey to inventing a new unique sound of music and selling 100 million records worldwide. Featuring legendary hits including Beggin’, December 1963, Can’t Take My Eyes Off You, Walk Like A Man, Bye Bye Baby, Big Girls Don’t Cry and many more, Jersey Boys is a must see event in Liverpool in January. 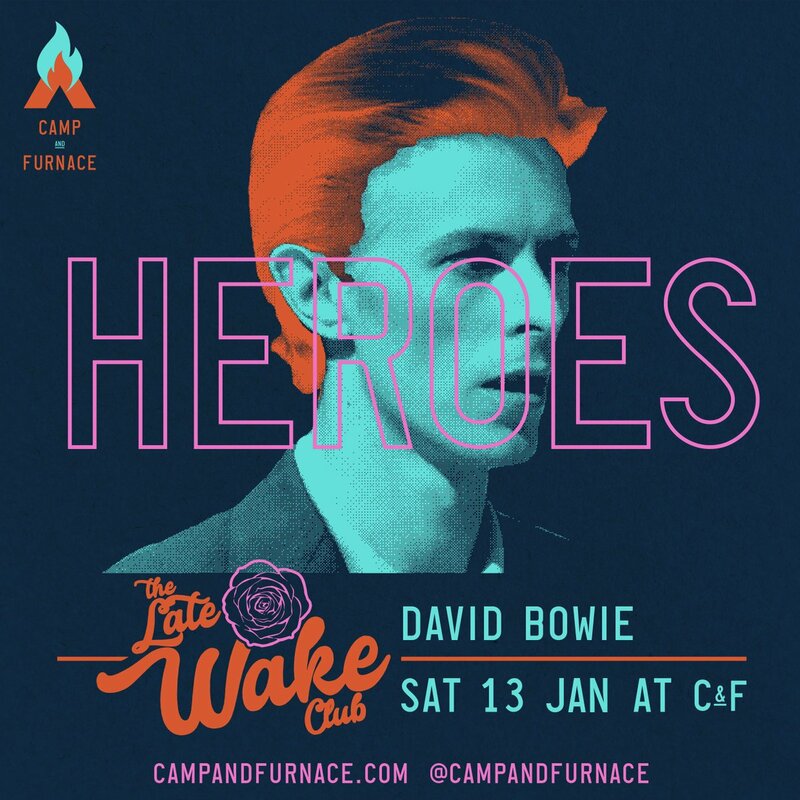 Celebrating the life and times of one of the most influential icons in the music industry, the Late Wake Club are putting on a night of David Bowie appreciation this January. 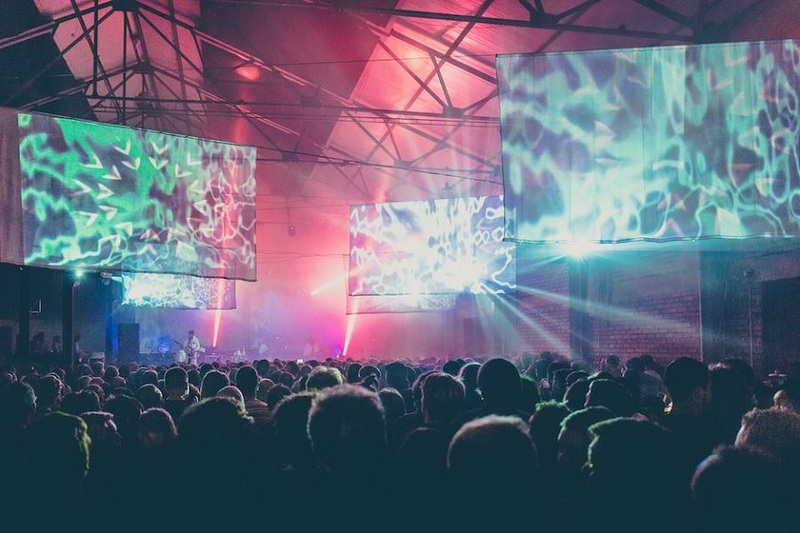 Taking place in Camp and Furnace in the Baltic Triangle, this event will feature every iconic Bowie hit, his influences, influencers and collaborators from their resident DJ. 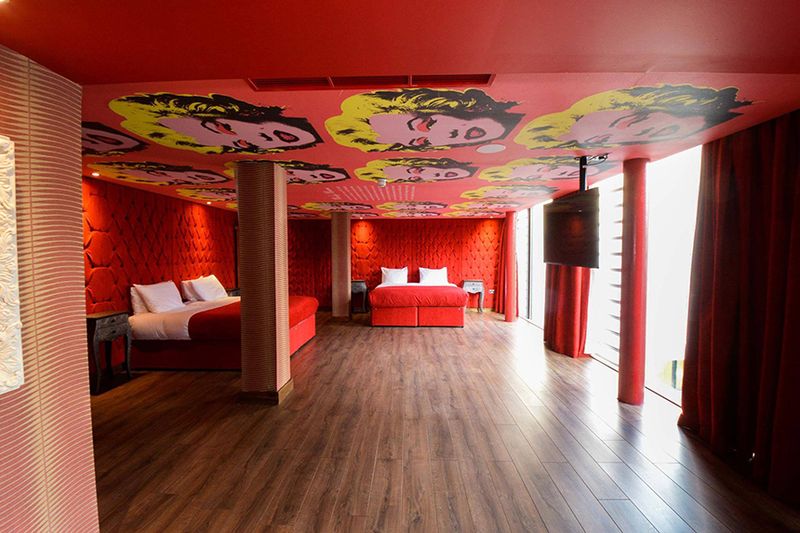 Get ready to become Bowie-fied in the makeover station, just choose your era and transform into the Starman himself. Like with any wake there is of course the complimentary free finger food buffet and cup of tea. 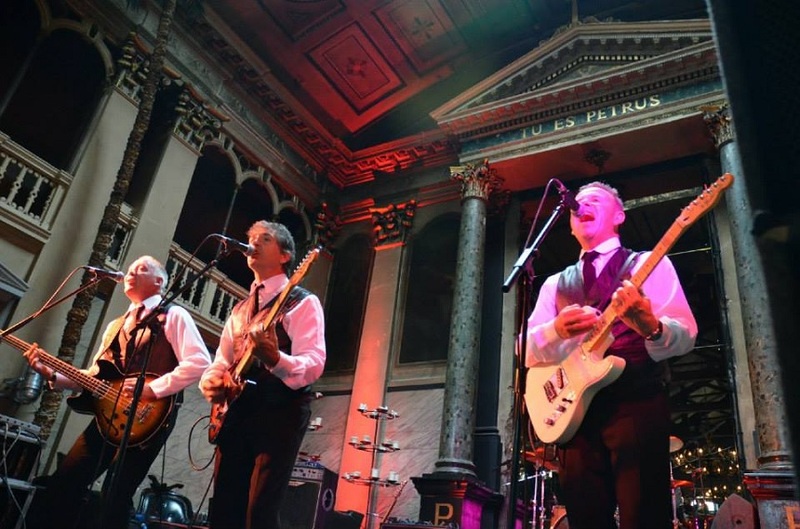 Next in our list of events in Liverpool in January is a celebration of the Fab Four. 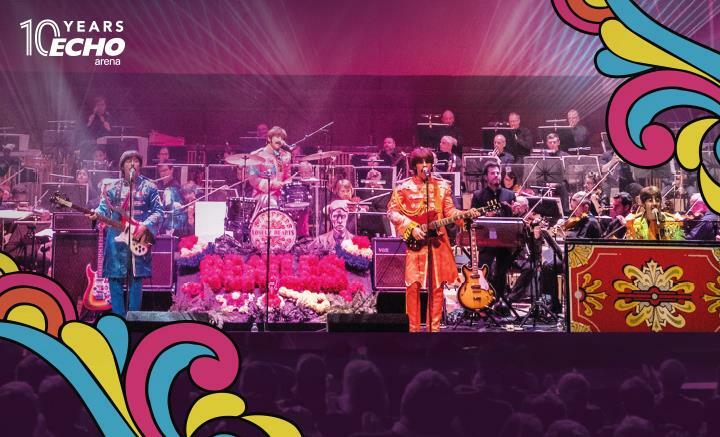 The award-winning Royal Liverpool Philharmonic Orchestra and the nation’s premier Beatles group, The Bootleg Beatles, are teaming up to perform the entirety of Sgt Pepper’s Lonely Hearts Club Band to celebrate its half century. Orchestrated by Nigel Osborne and hosted by the legendary Liverpool poet Roger McGough, this special concert is a once in a lifetime opportunity to experience what Rolling Stone magazine proclaimed ‘the number one greatest album of all time’, complete with full-blown symphonic backing. Incorporating many other hits from the heady days of 1967, including ‘Strawberry Fields’, ‘Penny Lane’ and ‘All You Need Is Love’, don’t miss this highlight of 2018. This January, the Museum of Liverpool are featuring a special exhibition celebrating the most influential people of Liverpool. Starring those who made unprecedented positive changes to the city throughout the years. It’s an impressive view of the pioneers, innovators and entrepreneurs who made our city what it is today. 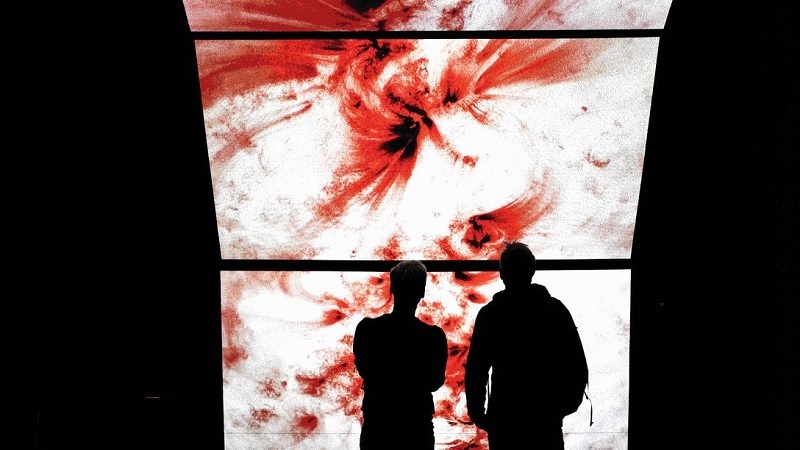 You will be shown round the exhibition by one of the museum’s hosts, free of charge. 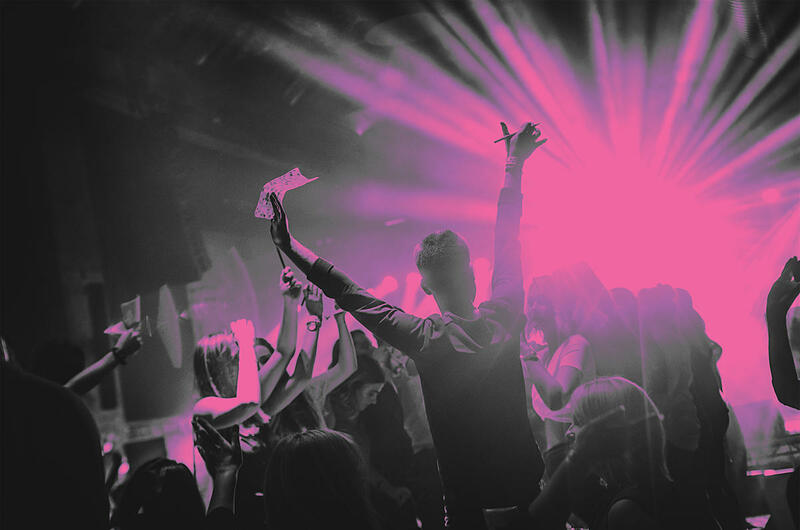 The ever popular and infamous Bongo’s Bingo is back this January and this time they’re bringing pop legends The Vengaboys with them! 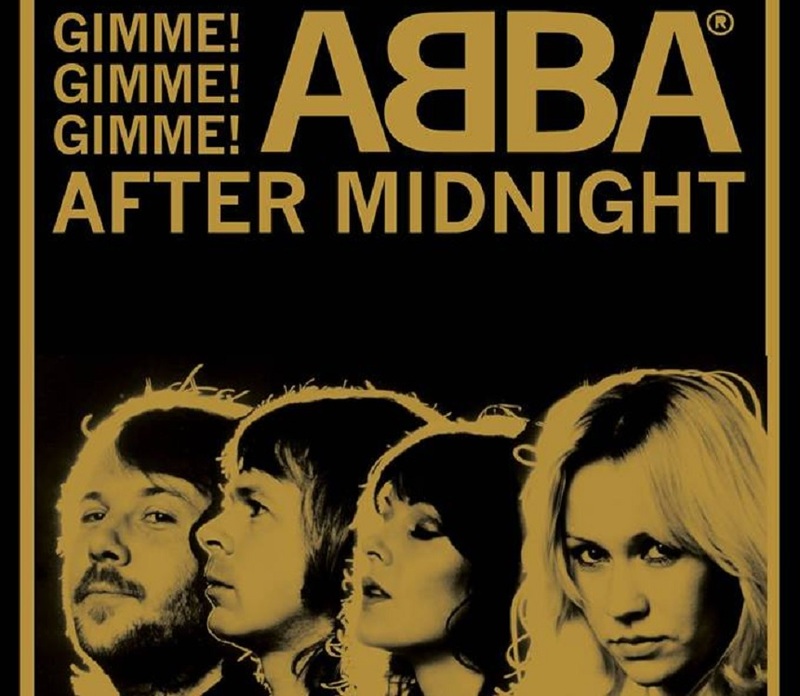 Get ready for eyes down and a night of impromptu raves, dance offs, hands in the air anthem singing and prizes so bad they’re good, it’s bingo like you’ve never known it before. 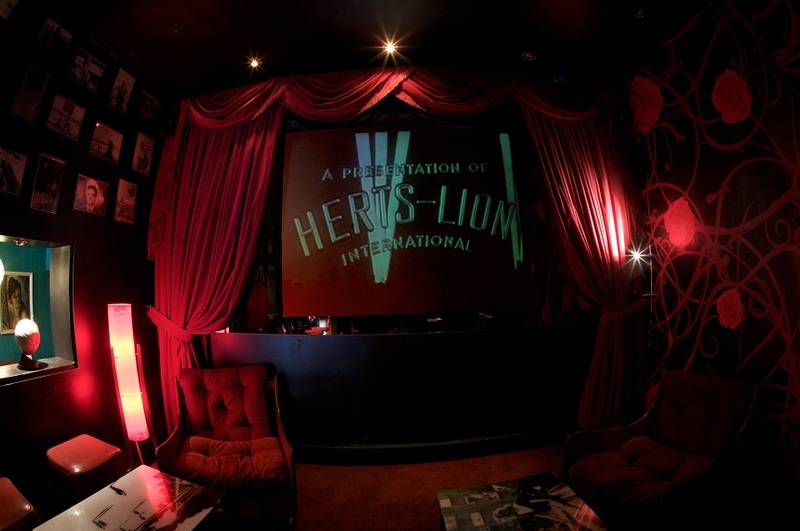 As always there are incredible prizes up for grabs, amazing music and even some surprises guests! Without a doubt the craziest game of bingo you’ll ever play and one of the most amazing events in Liverpool in January. 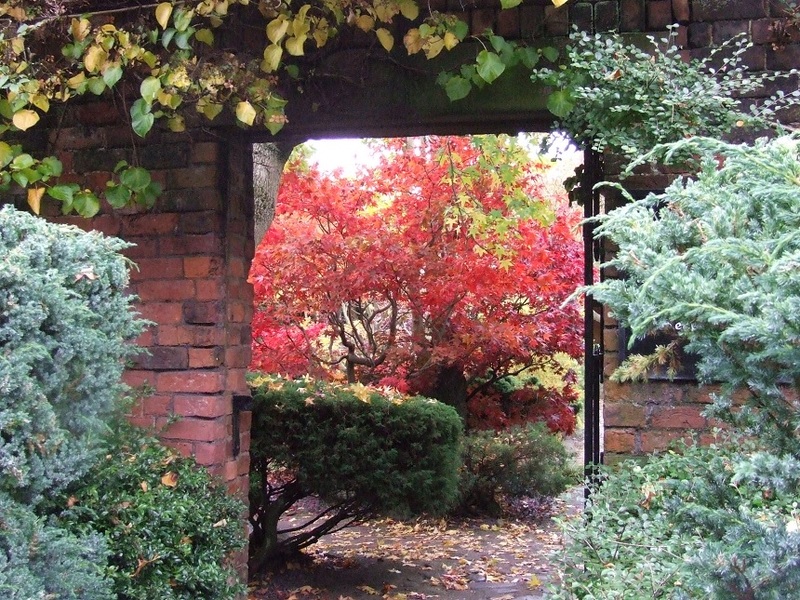 Last but not least on our list of events in Liverpool in January is also one of the most secretive. 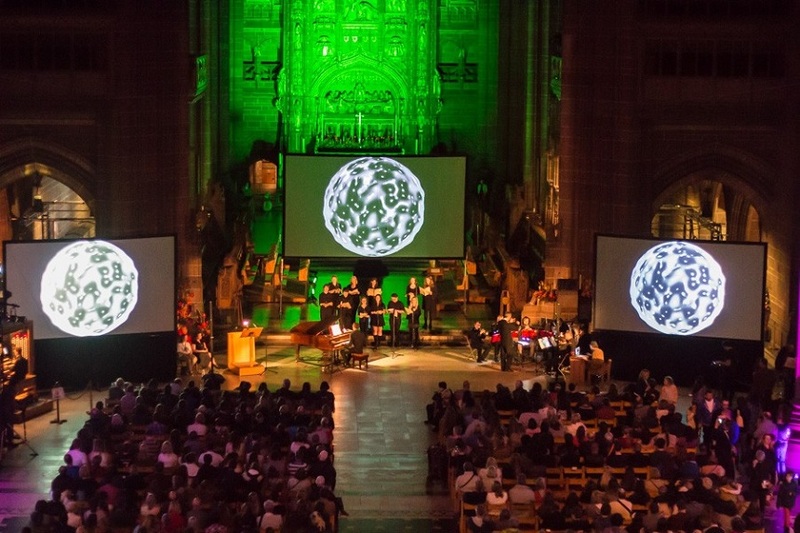 A mysterious and trippy experience is coming to Liverpool, with the venue yet to be announced. They will be opening the doors to a never before used abandoned space and recreating an atmosphere similar to the illegal underground parties of the 90’s. 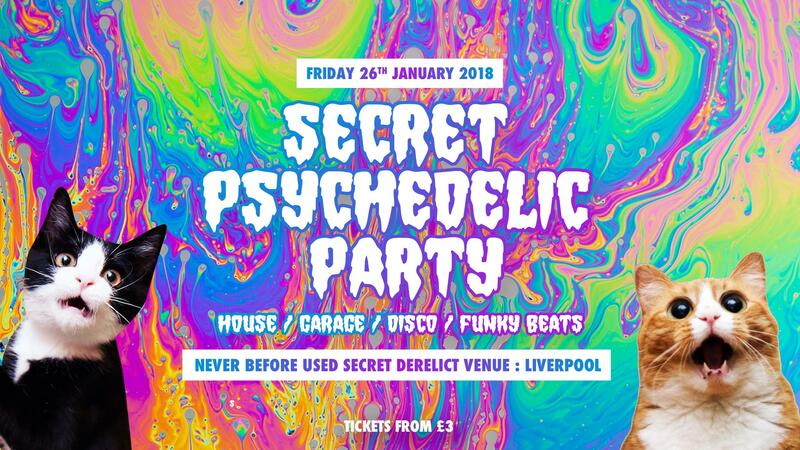 Expect a blend of House music, to garage, Disco and beyond, plus psychedelic lighting and fully immersive psychedelic decor. The location of the event will be sent to ticket holders on the day! 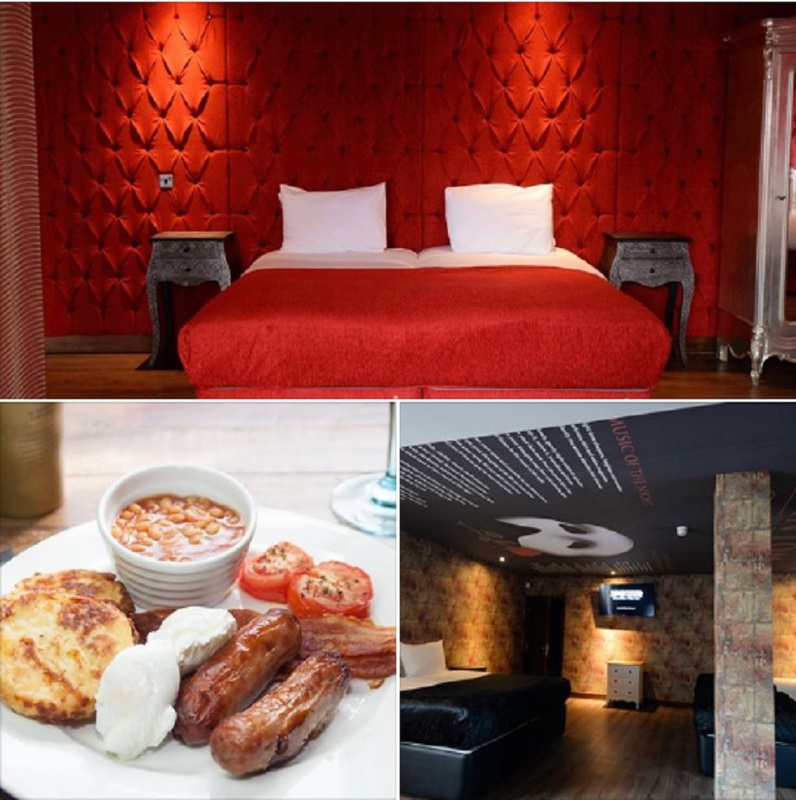 If you’ll be visiting Liverpool this January or you’re planning on attending one of these fantastic events, why not enjoy an overnight stay at Arthouse? Like Garfield the cat, the majority of us hate Monday’s, it’s the start of a long working week and the end of what was most likely an amazing weekend. That’s why at Arthouse Hotel we thought we’d spice up Monday by arranging some saucy Salsa classes Liverpool has been waiting for. Hailing from Cuba both Salsa music and the moves came together over time from a mixture of traditional Hispanic and American dance styles, Salsa, however, wasn’t named as such until it reached North America in around 1910. When looking far back enough the fundamental moves of Salsa dancing are a hybrid mix of Rhumba’s danced by early African slaves in America, the Danzon moves of the French Haiti immigrants and Son dances of Cuban nationals. This super saucy Latin vibe was eventually picked up by visiting Americans in 1898 during the Cuban War when soldiers entered South America. After this American Jazz musicians would frequently visit Cuba and adapt this new exotic sound to their own musical style, playing it in trendy clubs all over New York and North America. Soon the rest of the US was intoxicated by this new and super sensual sound and style of dancing. The term “Salsa” was applied in North America to describe this new wave of upbeat Latin music however it wasn’t until the 1970’s when Salsa truly found its fame in America. An increase in Dominican and Puerto Rican workers into the US brought with them their own dancing style which became well known and liked in clubs and bars across the nation. 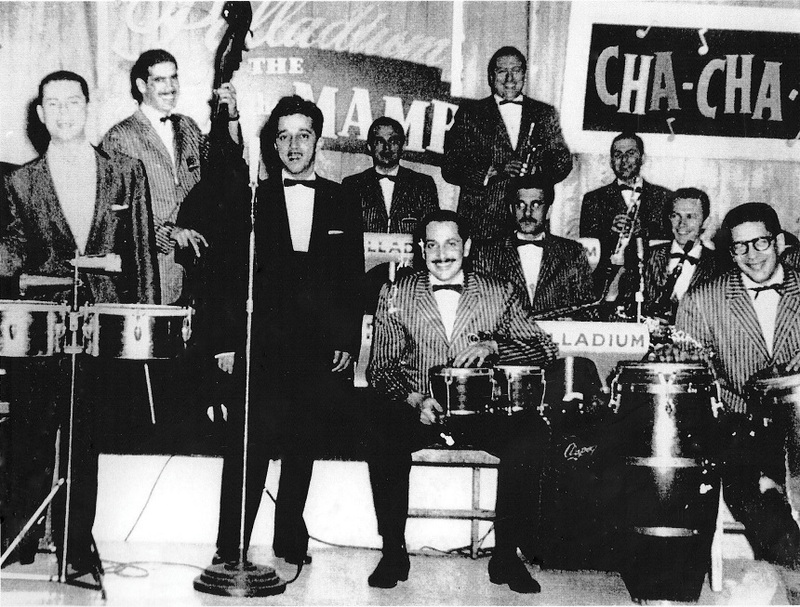 The rising stars of Salsa music helped spread the Salsa phenomenon to the world and today Latin music influenced by the earliest mixes of Salsa beats still dominates the charts today. 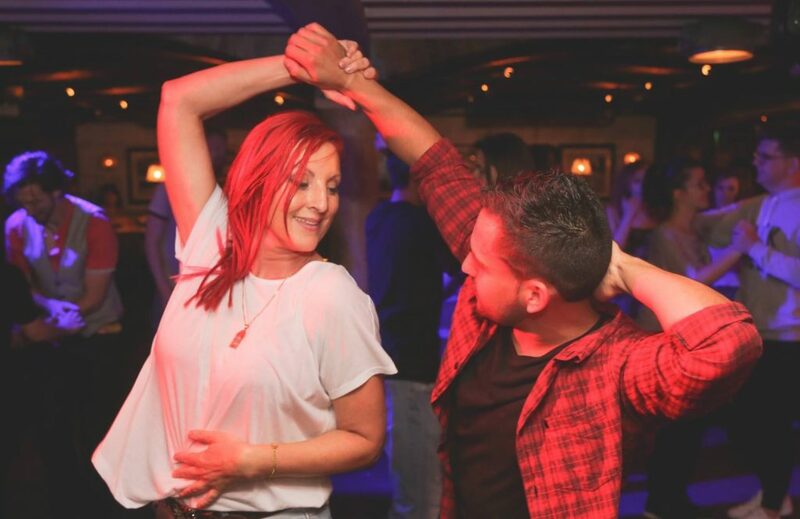 Join us on Mondays at Arthouse and meet professional dance instructor Karen who has been passing on her dancing knowledge to eager beginners for over 15 years, guiding them to becoming confident Salsa dancers. 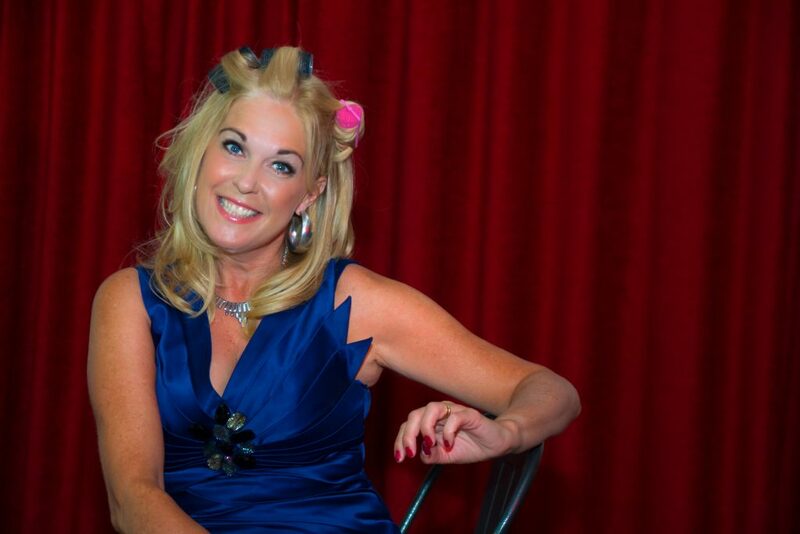 Karen is used to teaching large groups of all abilities and will give you the tools to take to the dancefloor with grace and ease when you next hear a Salsa track in the club. 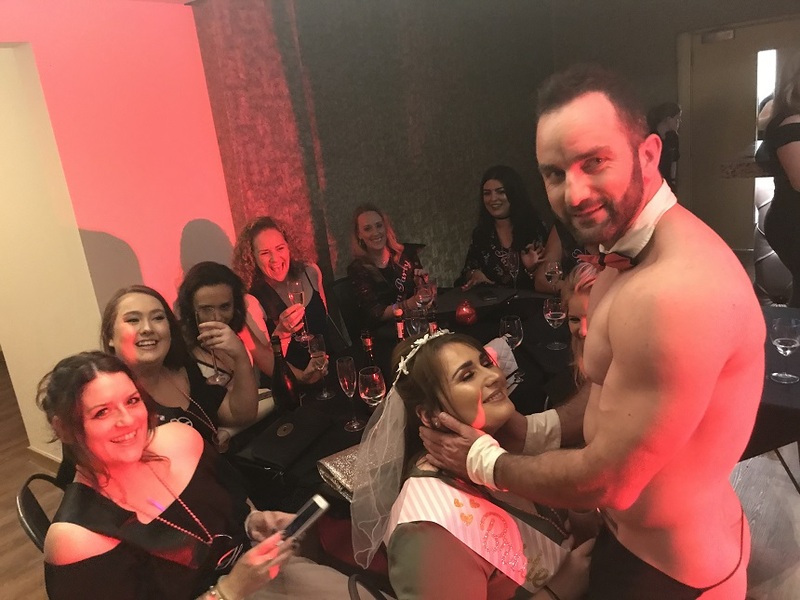 Bring along some work friends for some corporate bonding fun, take it as a keep fit class with the girls or grab your partner and learn how to be the hottest couple on every dancefloor. The lessons start at 19:30 pm for beginners and improvers running for one hour. Each Monday lesson included instructions for learning the tricky Salsa steps as well as an opportunity to have some fun. 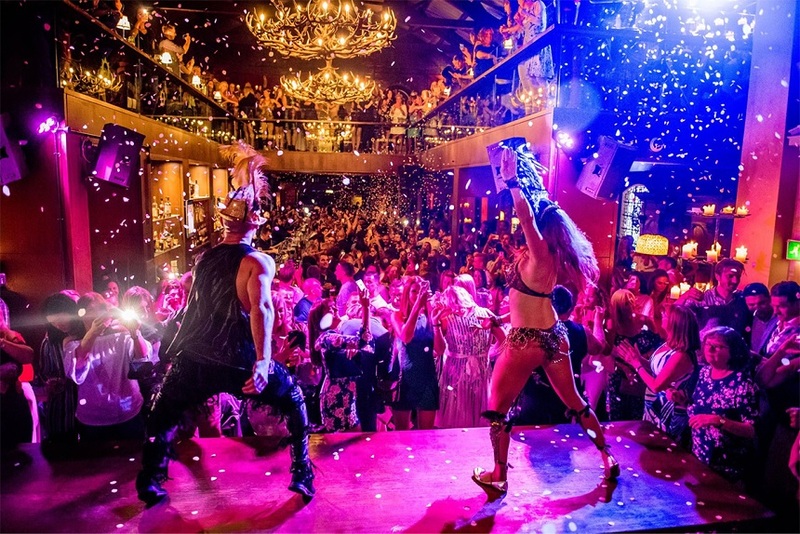 From 20:30 pm – 22:00 pm the intermediate dancers can hone their dancing skills and strut their stuff and then the venue is transformed into a Salsa free for all where the professionals can show off their moves and the beginners can have some laughs. 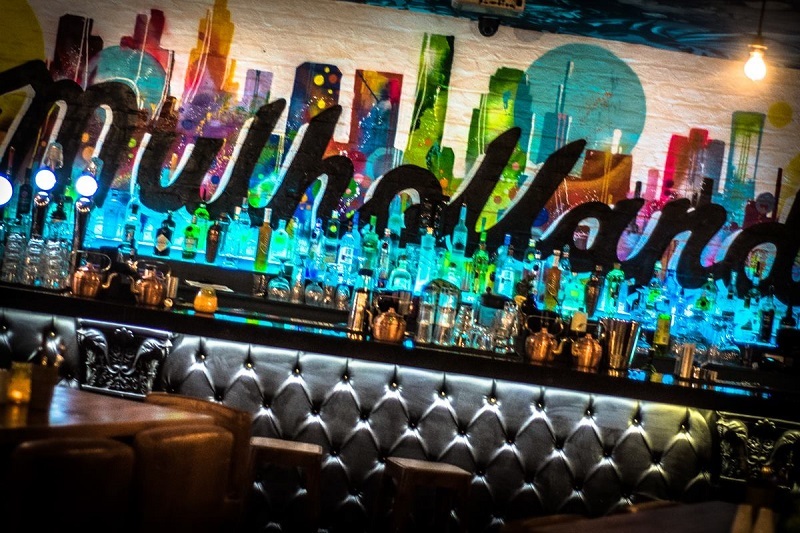 So never mind if you haven’t taken a dance lesson in your life or if you fancy yourself a dab hand, these are the Salsa classes Liverpool dancers have been waiting for and now they are here at Arthouse Hotel. 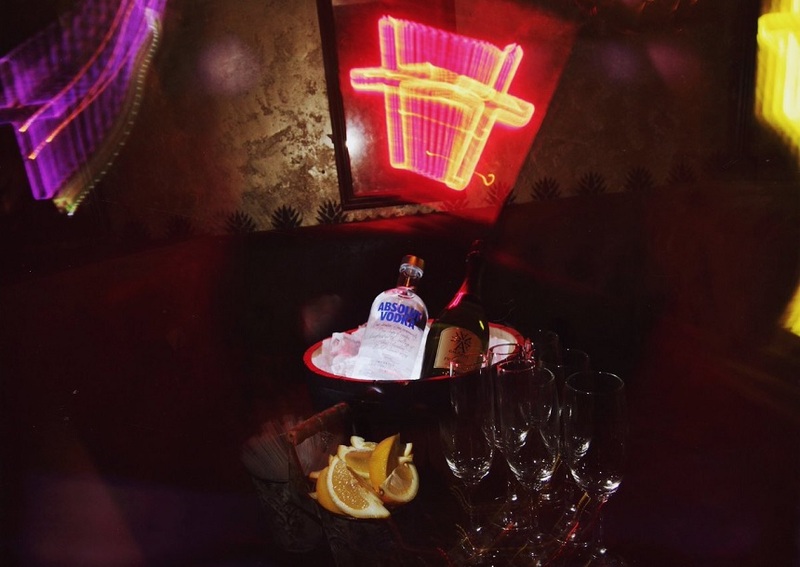 After all that twirling and shaking on the dancefloor you’ll no doubt need refreshments. 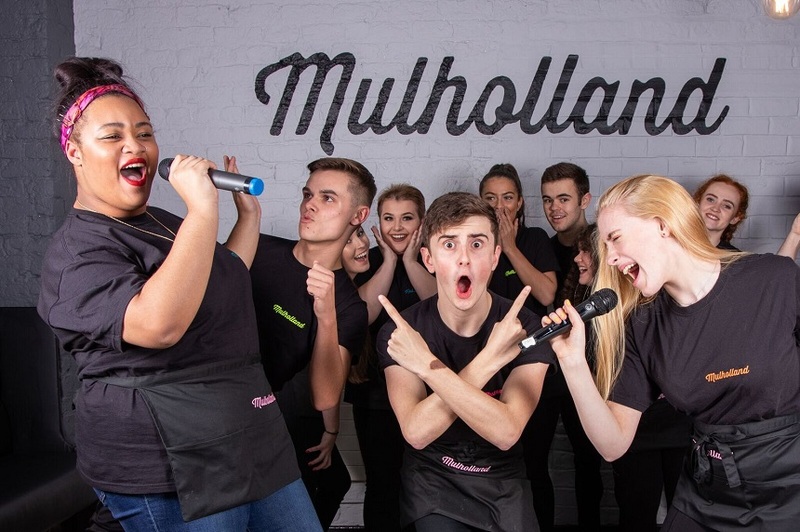 Luckily Mulholland Bar is situated just a floor up from where your lesson is held and has some fabulous midweek food and drink offers you and the class can enjoy. 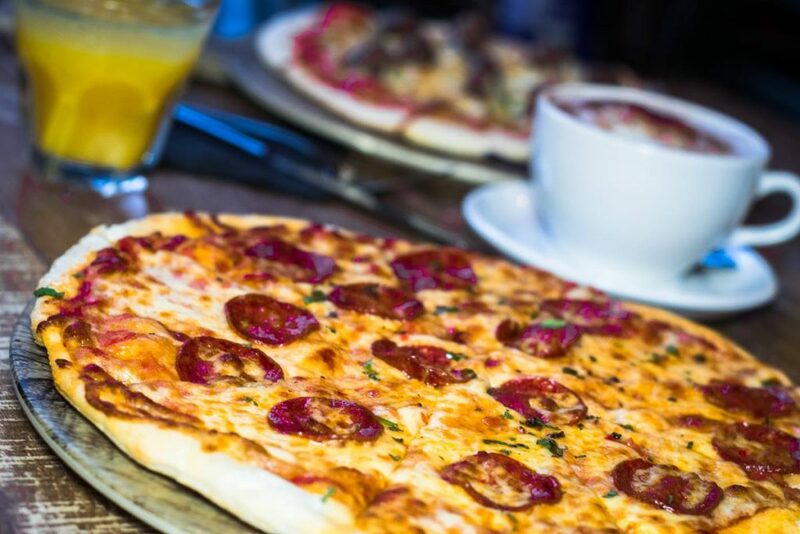 Choose from a selection of delicious cocktails or share a perfect pizza and if the night is still young there are plenty of bars around Seel Street where you and the Salsa gang can enjoy a round or two. 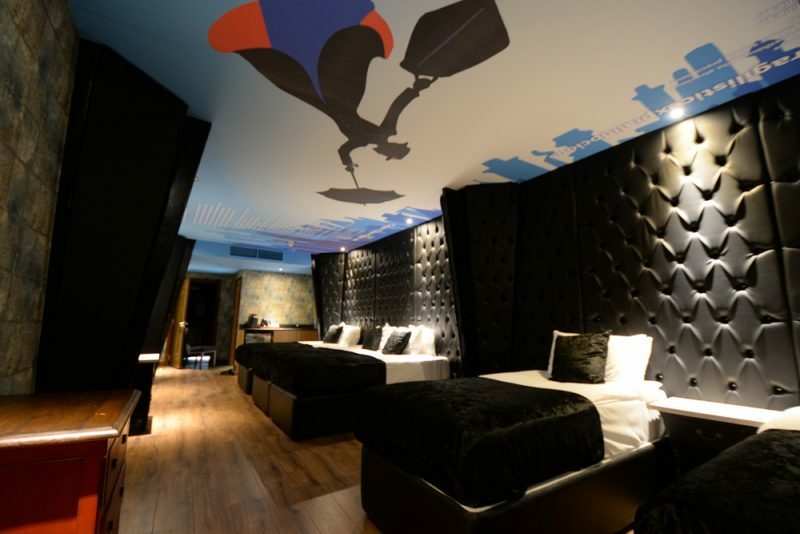 Make a night out of it and stay in Arthouse Hotel with the amazing Monday Madness offer including an overnight stay in a marvellous movie-themed hotel room and breakfast the following day for just £59 per couple. 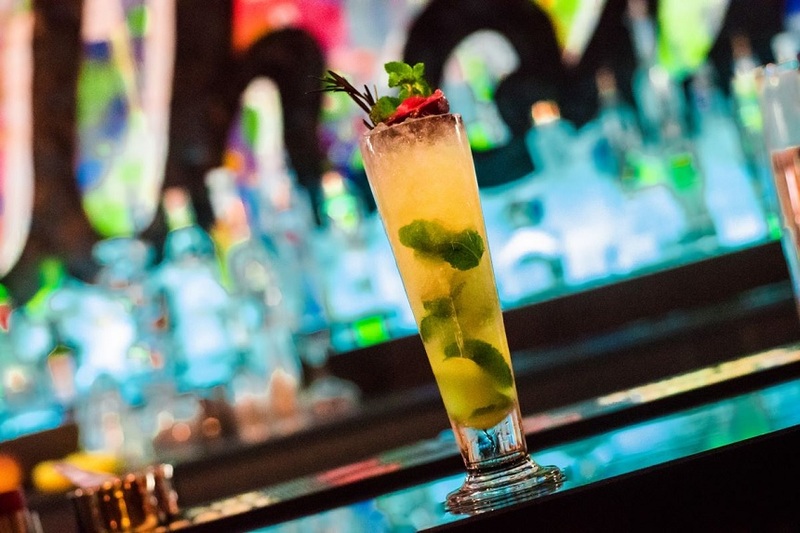 Why not put some of those newly acquired Salsa dance moves to the test in any of the best nightclubs in Seel Street? No need to book to attend just show up with your dancing shoes in one hand and a partner in the other and you are good to go. 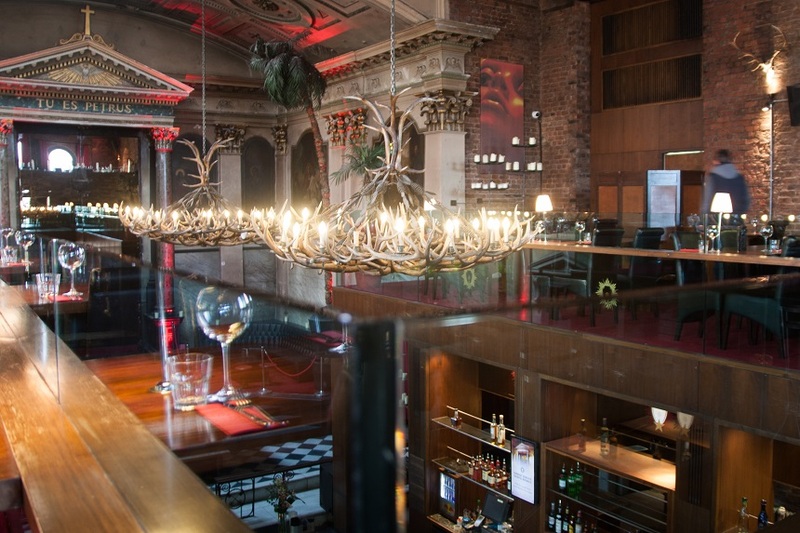 Call 0151 236 0166 to book the offer or inquire any further about Salsa Monday’s email info@signatureliving.co.uk. 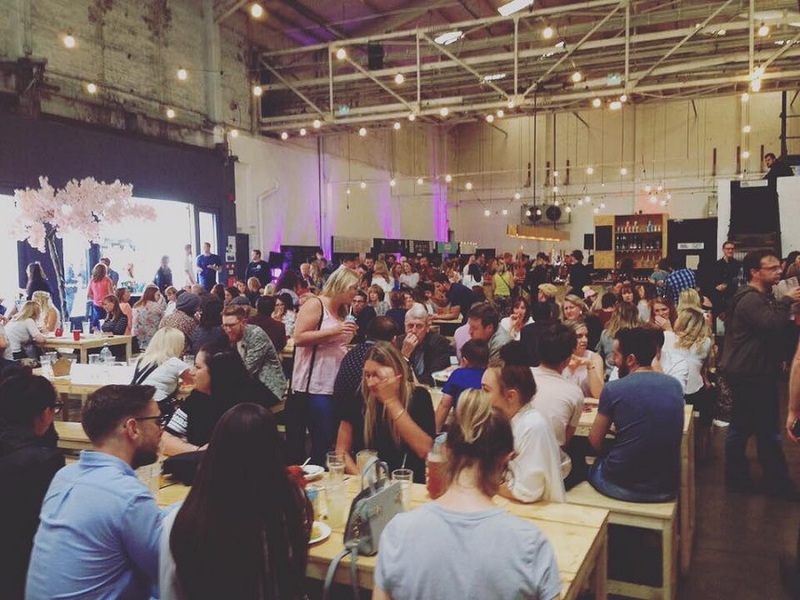 Liverpool is famous for its wealth of independent eateries, shops, boutiques, bars and pop ups, so it’s no surprise that our city is dedicating a whole week of celebrations to these unique businesses. 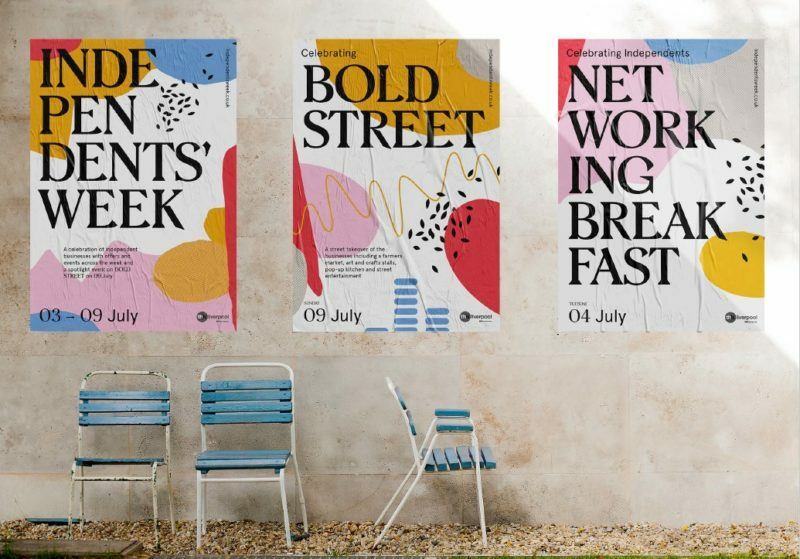 The party kicked off on Monday and runs all the way up to Sunday 9th July, when Bold Street will come alive with an exciting celebration of the very best of Liverpool’s independents’. Expect plenty of outdoor activities, food markets, mini festivals and food and drink offers as the city honours this ever-growing community. 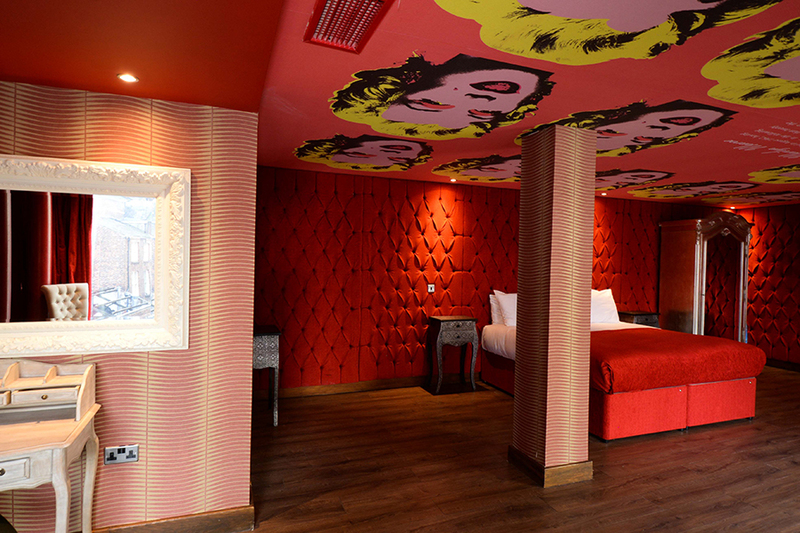 Why not treat yourself to a stay at the Arthouse Hotel for Liverpool’s Independents’ Week and really make the most of the Bold Street festivities. 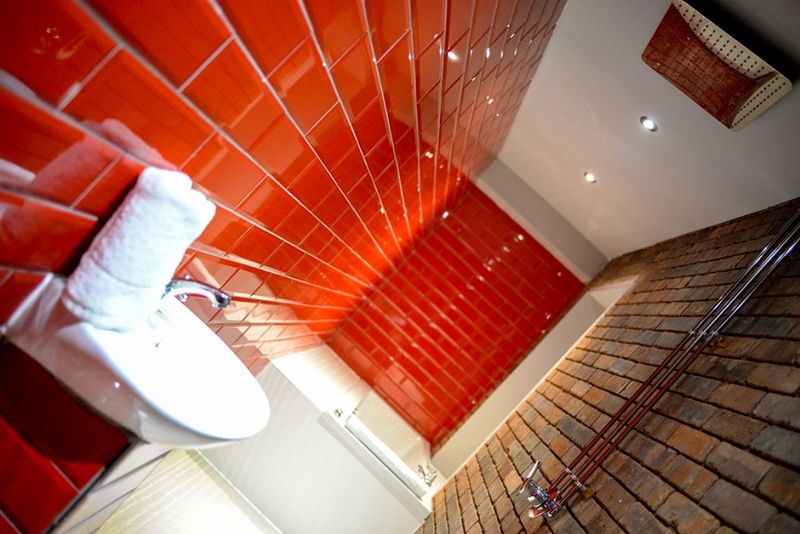 The Arthouse is just a few minutes’ walk from the heart of the festival so you’ll be in the perfect location to really enjoy the merriment. On Sunday 9th the spotlight will be set over Bold Street as the Independent shops, bars and restaurants put on exclusive offers and events for one day only. There will be a farmers marker, arts and crafts stalls, a pop up kitchen featuring some of Bold Street’s favourite chefs, street theatre and much more. 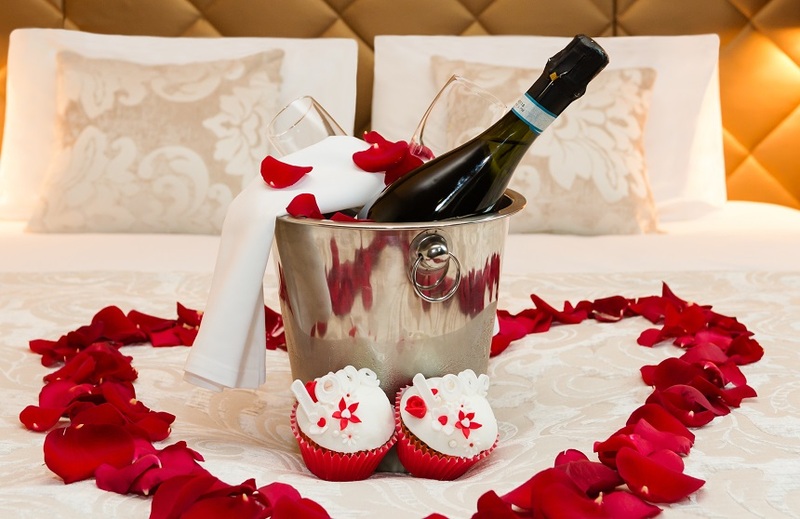 Check out the best offers and events to look out for on the day. 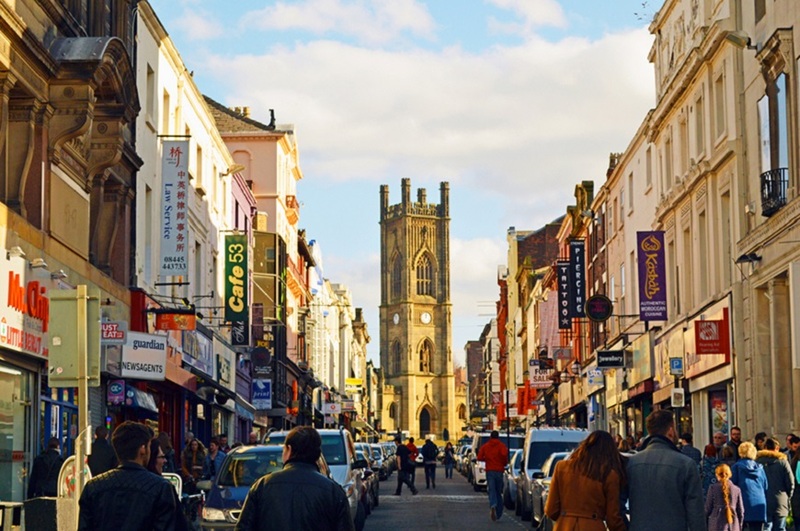 One of the favourites on the Bold Street Independents’ circuit, East Avenue Bakehouse have teamed up with the Bombed Out Church to offer a brilliant picnic deal. Pick up a ready-made picnic in a tote bag from £9.95 and enjoy it in the gardens of the Bombed out Church. Let’s hope the weather is nice! 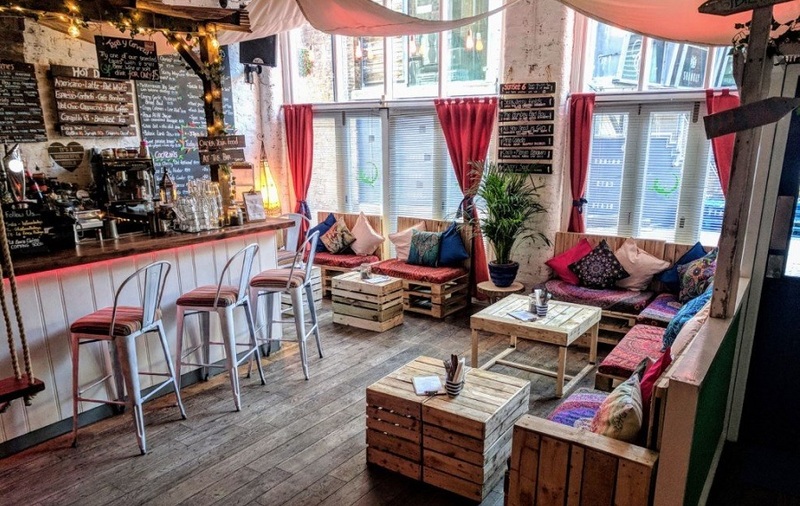 This popular tea and music emporium will host a pop up tea stall where you’ll be able to create your own individual tea blend and take part in fun activities. 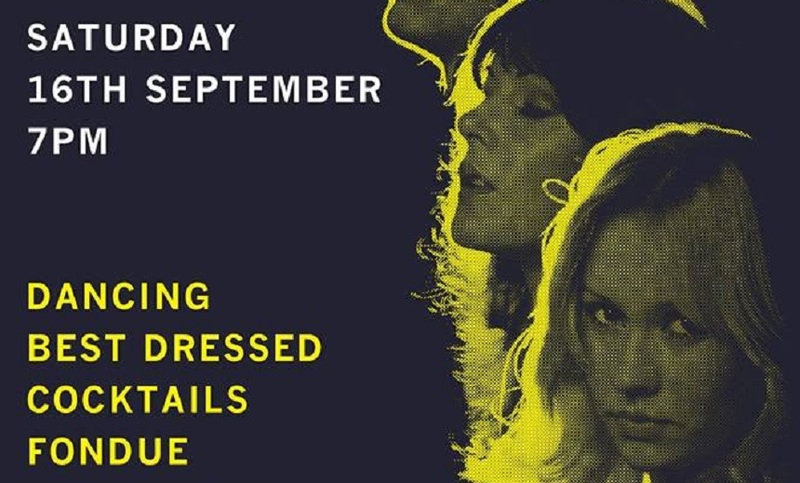 There will also be DJ sets from Crackle and Dust who play a vinyl only excursion into hip hop, boogie, funk and disco. 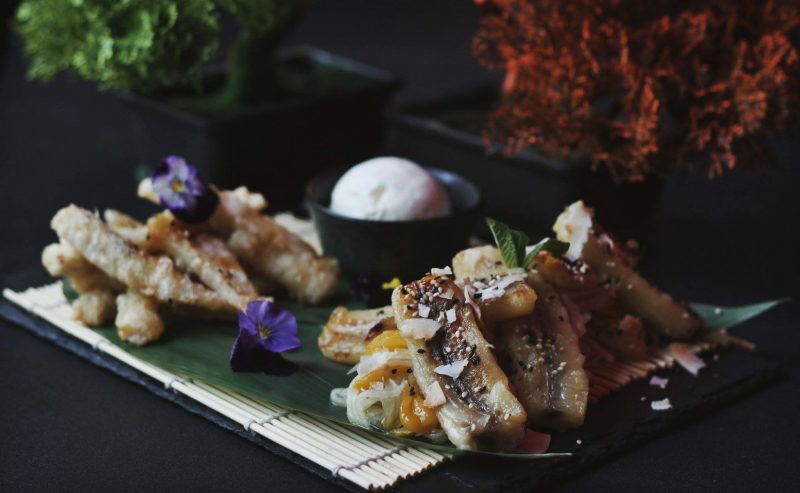 A delightful Japanese restaurant, Miyagi will be celebrating Liverpool’s Independents’ Week by offering diners a brilliant 25% off their food bill and 2 for 1 cocktails all day. Don’t forget to try some of their fantastic Sake, it’s delicious. 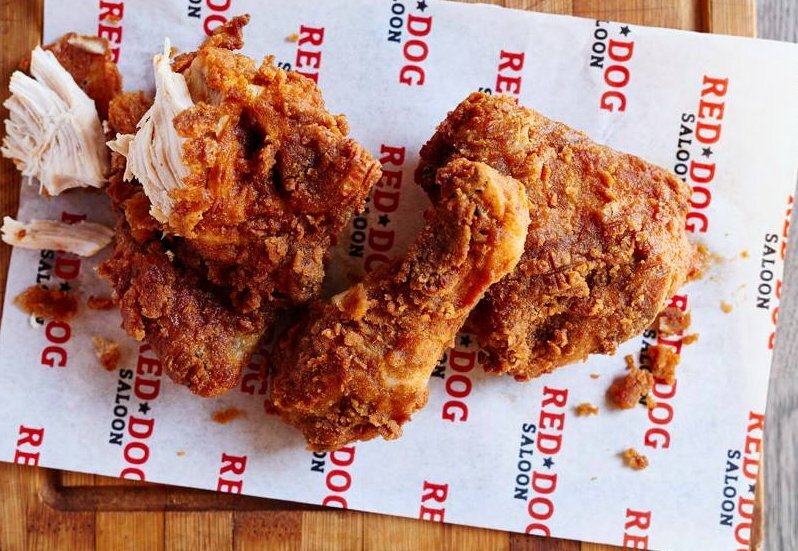 Red Dog will be carrying on the party with an outdoor seating area and food stall selling their Kansas City BBQ style food. They will also be giving away some of their signature American chicken to lucky passers-by! 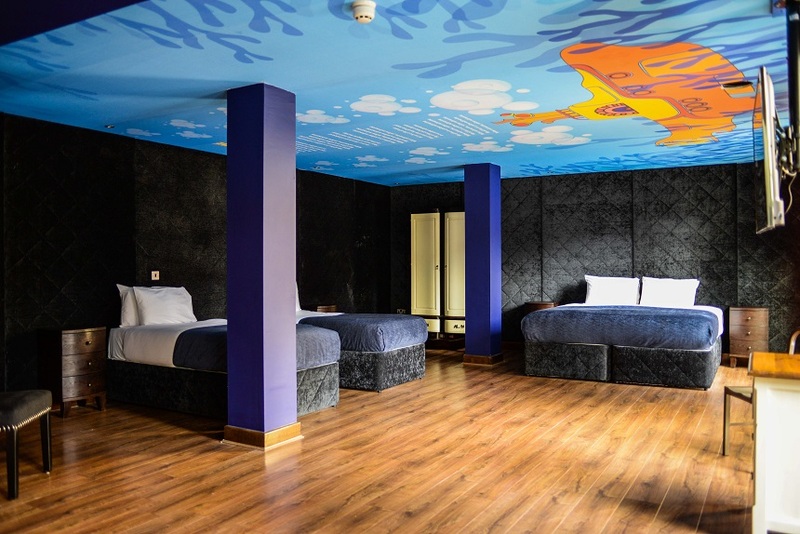 Fan of all things fishy or maybe you want to try something new? 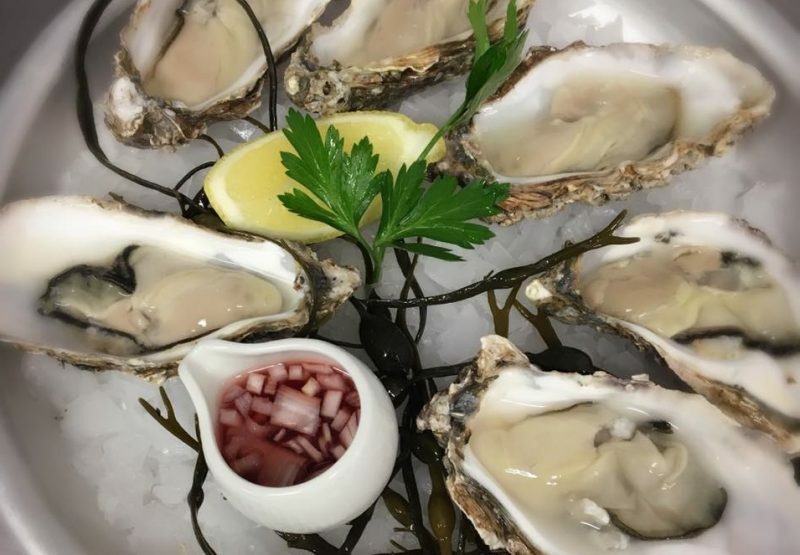 Don’t miss out on the Italian Club Fish’s oyster giveaway, only available on Sunday. There will also be an extended outdoor seating area, so you can soak up the rays whilst you knock back an oyster or two. The hugely popular International Food Supermarket will be offering special food tasting events all day. 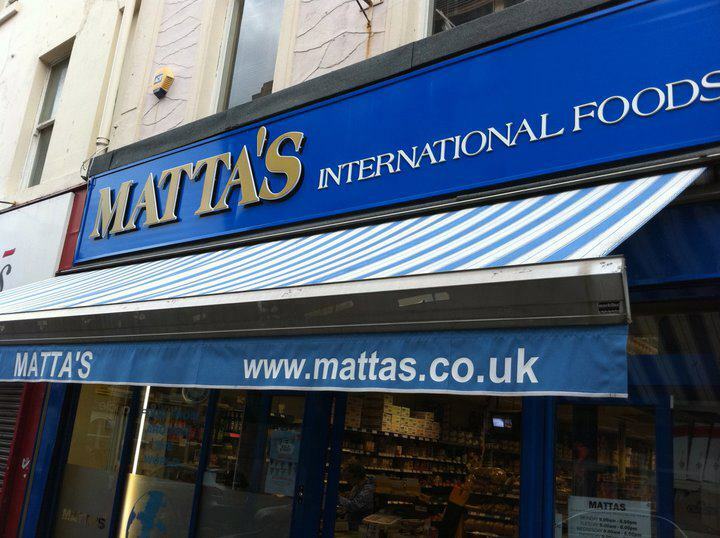 If you’re not familiar with Mattas, they specialise in international, vegan and healthy foods you won’t find in your average supermarket. 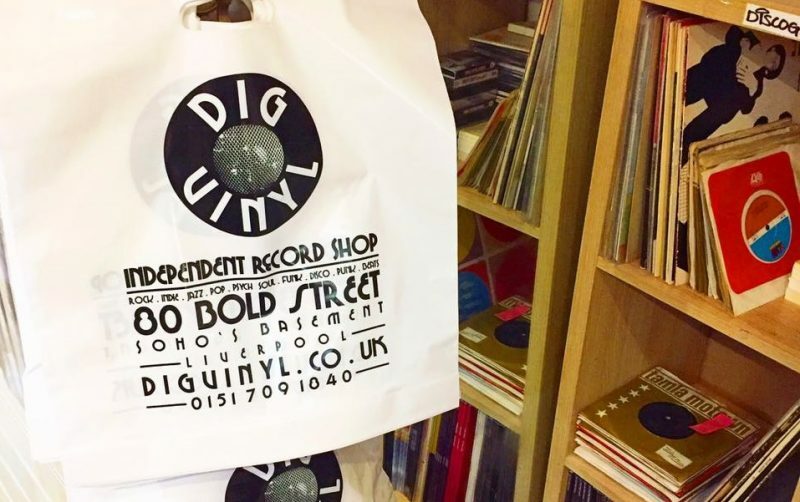 This music emporium is a firm Bold Street favourite, and to prove it they’re putting on a massive 50p vinyl sale on hundreds of single and LP’s. It’s not just on Sunday either, it’s already started! So if you want to miss the crowds, head there this week and bag a bargain. Cow Vintage will be hosting a range of outdoor activities for all the family, plus there will be great deals on their vintage fashion. 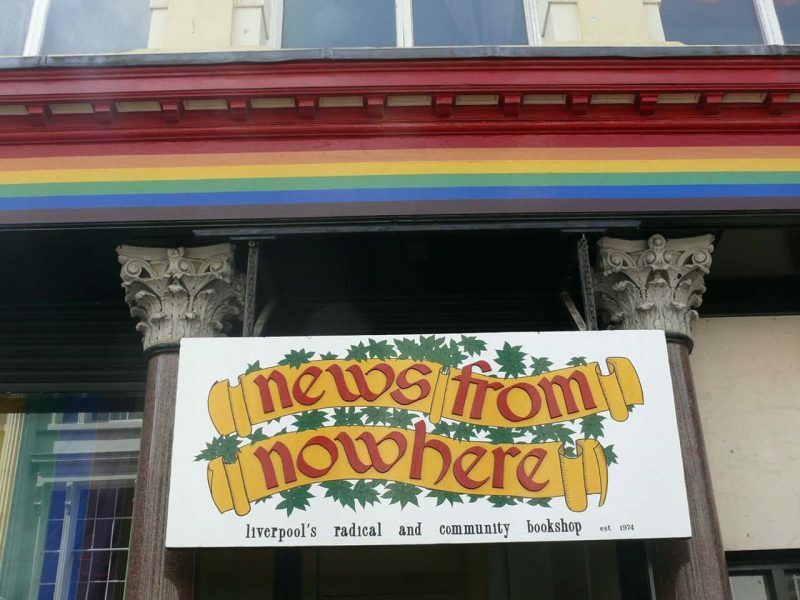 This Liverpool institution will be holding their famous “Bolshy Bargain Bookstall” outside the bookshop. With an amazing array of bargain books on all subjects, books to entertain you, inform you and empower you to change the world. 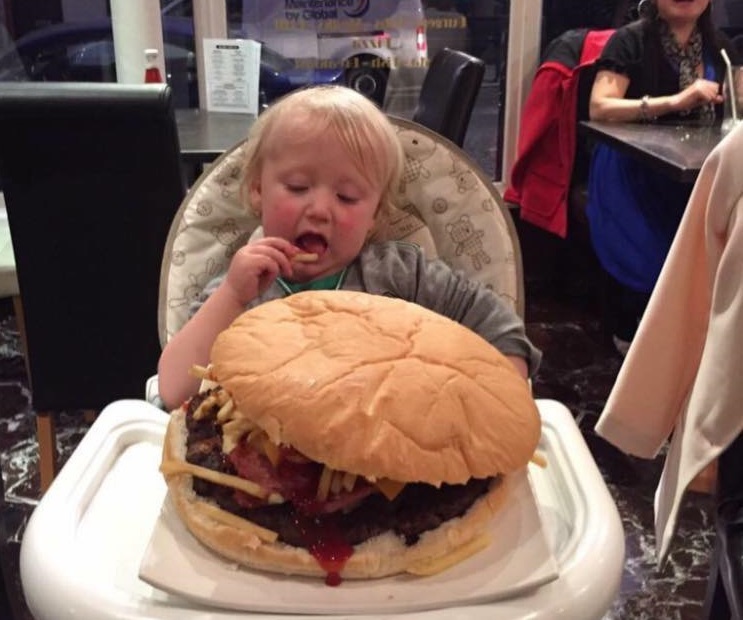 Uncle Sam’s will be hosting their famous burger challenge for anyone who is brave enough to take on the gigantic feast. If you think you can eat the colassal burger that also features fries inside it, give it a go! If you’re successful you won’t have to pay a penny. There will also be a few local celebrities there, you’ll have to attend to find out who. Why not treat yourself to a mini massage or nail treatment? 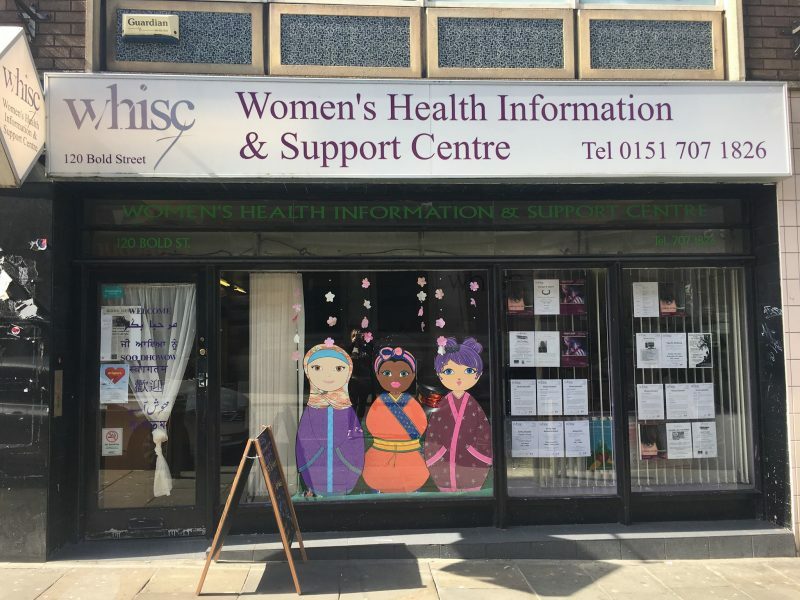 Whisc will be there for all your beauty and pampering needs, plus Tai Chi and Yoga classes, tasters and dancing demos. 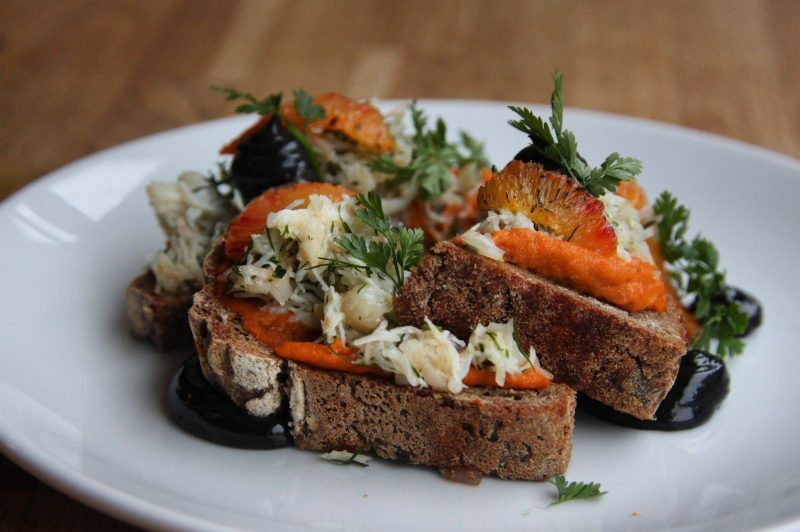 Located in the heart of Bold Street’s restaurant scene, Maray specialises in small plates that are perfect for sharing. On Sunday, they will be putting on a BBQ with outdoor seating and a live demonstration from their talented chefs. 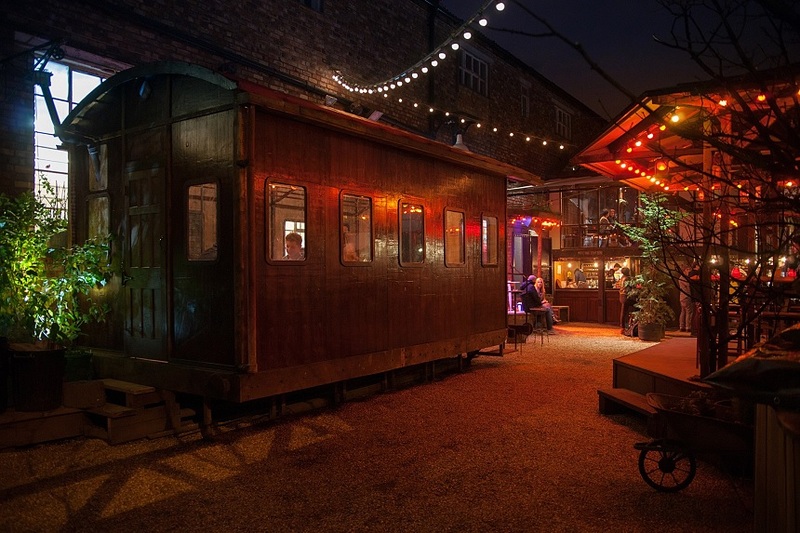 With an array of homegrown treats, handmade keepsakes, chef demonstrations and secrets on signature dishes, street theatre, games, face painting and much more, Liverpool’s Independents’ week is set to be a fantastic celebration. 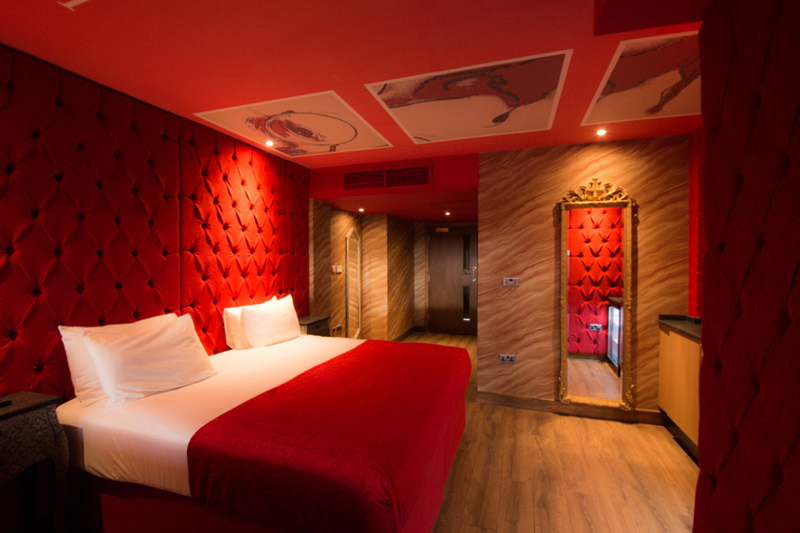 Just a few minutes’ walk from Bold Street you’ll find the Arthouse Hotel, perfectly located to enjoy the best of Independents’ Week. 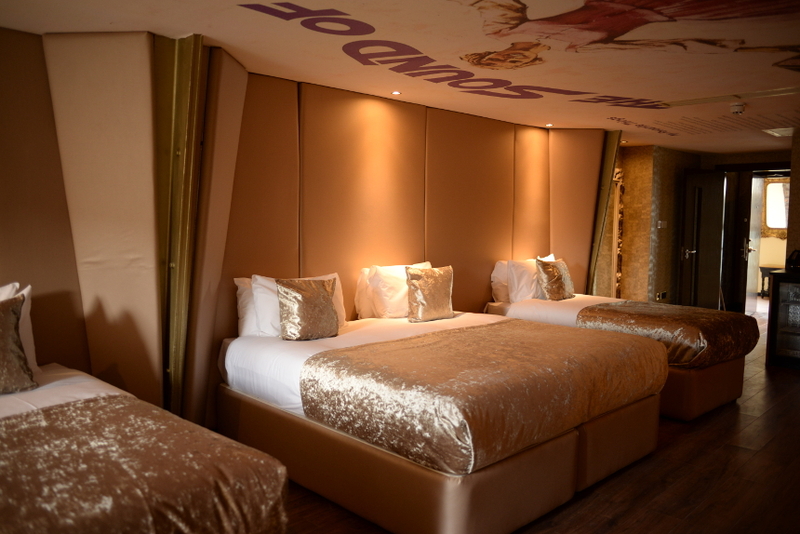 It’s perfect for couples, families or groups who want to stay together as we offer accommodation that can sleep up to 8 people. 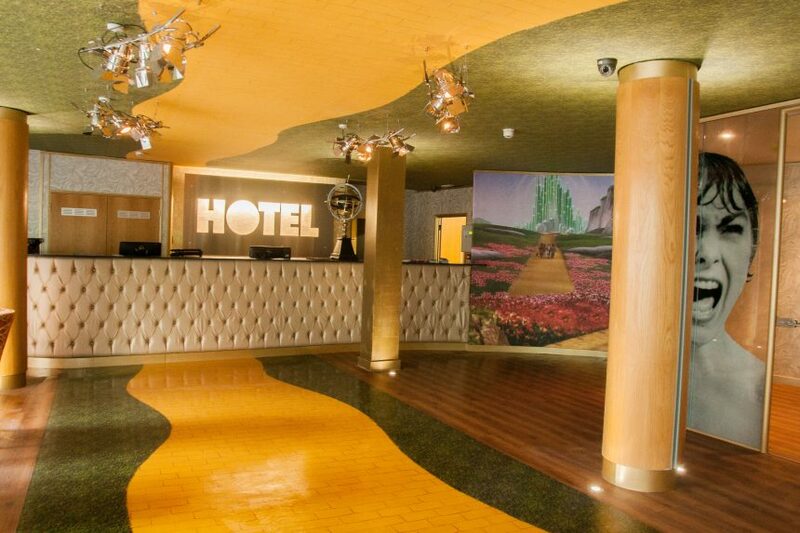 Take a walk down the yellow brick road and book a weekend stay to remember at our magical movie-themed hotel.